One of the most common frustrations I hear from transitioning professionals is about their lack of clarity relative to a career path. In acknowledging the saying "If you don't know where you're going, anyplace is fine," many of us find ourselves stuck with our emergency brakes on, unable to proceeed forward in a meaningful way towards our highest goals and endeavors. 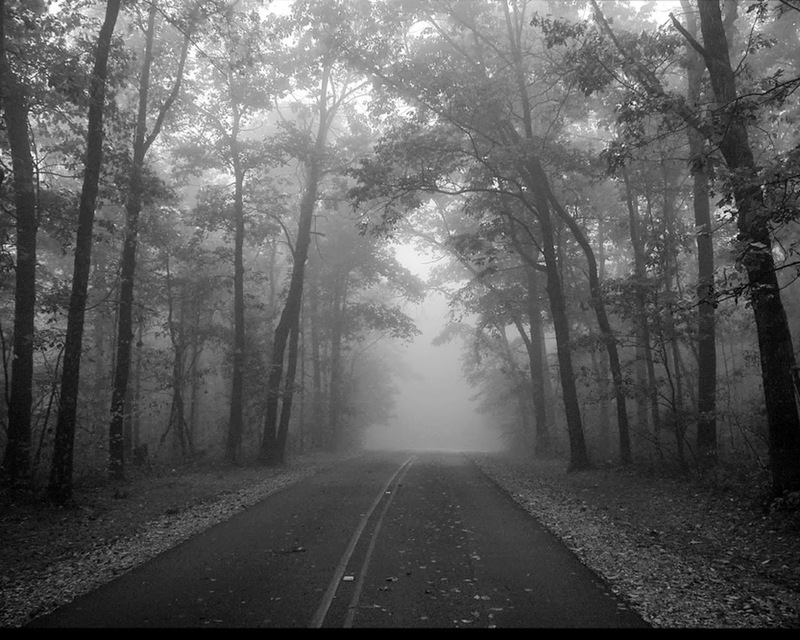 A number of years ago I driving late at night through the Smokey Mountains of North Carolina, scared out of my whits by a dense fog that had literally cut my visibility to zero. It became acutely aware to me that my headlights were of little use, particularly as I attempted to pick up the pace in hopes of finding a convenient exit sooner rather than later. It's here where I began to realize that I was engaging in a practice affectionionately known as "overdriving ones headlights" or driving too fast in the dark. Basically, because my headlights only shined so far ahead, I was frightened by the prospect of not not being able to see dangers ahead in time to react. All of this speaks to the dilemma that many of us face when confronted with an uncertain career direction. On one hand we recognize, particularly when there's an urgent need to earn a steady income, that forging a path in the shortest amount of time possible is vital for one's survival. Yet we simultaneously recognize that making a decision in haste can have adverse consequences in terms of our long-term career trajectory. 1. Pump The Breaks: Mashing on the proverbial accelerator in order to clear through the career fog faster can have dire consequences. It's better to be deliberate and thoughtful in pursuit of your options. This may involve employing the help of a career coach to keep you accountable and grounded amid the process. Reading, journaling and quiet contemplation are also valuable activities. To this point, consider picking up the book Unique Ability by Catherine Nomura and Julia Waller. You'll find it a must read for forging a sense of clarity in a deliberate yet productive way. 2. Try Out Multiple Gears: The overriding message here is to try on multiple hats or options for determining what might be the right fit. Identify your perfect picture opportunity and work backward. Vary your experiences by attending Meetup Groups focusing on topics or experiences that are unfamiliar to you. It's through this latter idea that I discovered the Colorado Bitcoin Society and a subsequent gig writing blog posts for Bitcoin. Go Figure! 3. Relax: As was the case with me on that foggy evening in North Carolina, uncertainty can cause one to stress out and clench up behind the steering wheel. So find ways to relax, have fun and clear your brain. Putting your career pursuits in neutral from time to time can reduce strain on your bodily engine. Another Tip: Be sure to maintain peak energy levels by drinking copious amounts of water and through Glutathione supplementation. A healthy body results in the fuel to proceed forward with clarity. 4. Maintain Your Line Of Sight: While it's OK to look in the rearview mirror of life from time to time, your primary focus should be centered on what's in front of you. Like a good mindfulness practitioner, stay present in the moment with what's right in front of you versus getting distracted by the past. In the same way that proceeding too rapidly can create pileups, driving your career ship too cautiously and in a distracted way can cause it to aground. 5. Embrace A "Forward Thinking" Attitude: Navigating through career fog can be grueling and lead to negative thoughts. Whenever you find yourself headed down this path, be reminded of the fact that thoughts play a key role in determining your outcomes and direction. So avoid or limit the time you spend with those friends and family members who moan and complain about the life struggles mode they're experiencing. Watch what you are listing to, viewing, or reading--avoiding those things that run counter to a positive state of mind. As was the case with my trek through the fog, self talk focused on my intended direction was much more productive than a "woe is me" mindset that could lead to smaking into the backend of a semi.